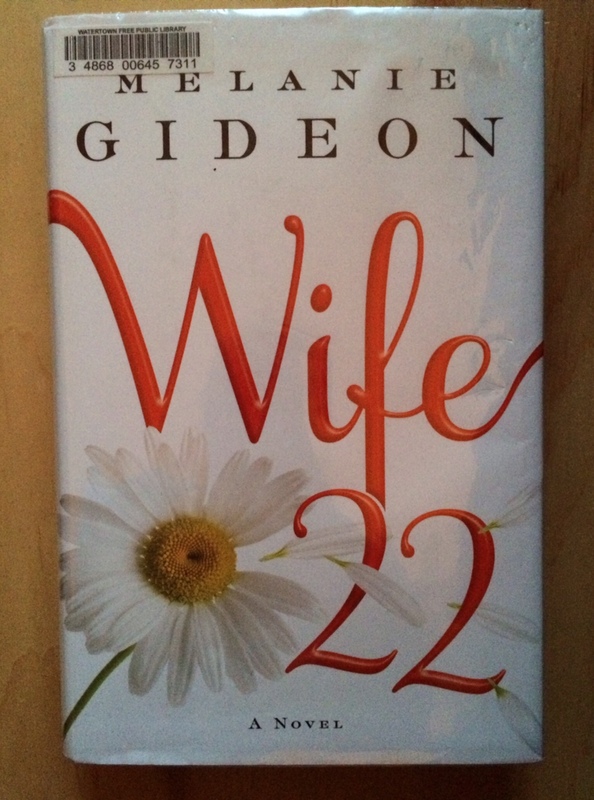 This month, we’re talking about Melanie Gideon’s 2012 novel, Wife 22. We invite you to join the discussion by commenting on our blogs (links below) or posting your own review on our shiny new Facebook page. We also hope you’ll join us next time, on Monday, December 1, when we’ll be discussing Adriana Trigiani’s The Shoemaker’s Wife. And of course she’s in the middle of a mid-life crisis, because “having a secret is the most powerful aphrodisiac in the world and, by necessity, exactly what’s missing in a marriage” (88). In Wife 22, being a wife is difficult because it involves boredom and stagnation, and because the wife in question has difficulty communicating directly with her spouse. Motherhood seems equally difficult (for different reasons) but more rewarding. The novel’s plot is predictable, the characters mostly so, and the commentary bland, but the dialogue is lively and the format keeps things moving. If Alice narrated the whole thing, I don’t think I would have enjoyed the novel, but Ms. Gideon uses e-mails, Google searches, Facebook messages, and discussion board postings (that made me fear PTA parents) to break up the text. I did think that providing Alice’s answers to the survey questions without providing the questions themselves until the end of the book was pretty gimmicky. Wife 22 is about a very specific type of marriage: white, affluent, heterosexual, urban; Alice and William’s struggles feel frivolous and self-indulgent given the experiences of the great majority of couples in the United States and, indeed, the world. [. . .] we offered shoulders to lean on, hands to hold, and ears to bend. And when we failed at that, there was lumpia and waterproof mascara samples, links to articles, and yes, vodka-laced tomato juice. And it can be quite funny, especially when the novel focuses on the couple’s two kids, or when Alice makes an unexpected comparison. Wife 22 is like, I think, a slightly more serious version of a post-2000 Nancy Meyers movie, only without the divorce. It’s good-natured, well-intentioned entertainment about a subset of Americans who get more than their fair share of screen (and page) time. 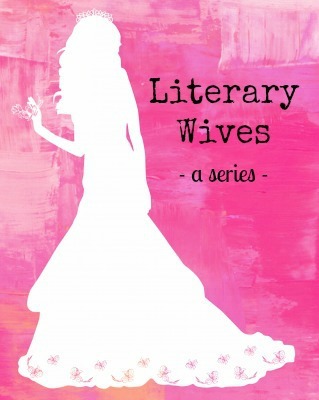 Please visit the other Literary Wives bloggers to get their takes on the book! Very thoughtful review, Carolyn (as always). I was a bit exasperated with the token lesbian character of color as well. I agree that this is a book full of first world problems and it reminded me of the more frivolous romantic comedy movies. For what it was, though, I enjoyed it, especially because it came to me after months of reading really difficult subjects! I’m glad you did! I’ve certainly watched Nancy Meyers movies (Meryl Streep is my kryptonite), but I guess I feel more exasperated with authors who write rom-com like books. Maybe that’s because I care about books more than movies, and maybe it’s because I think writers have so many more options than mainstream movie-makers, who always have to deliver box office wins. But maybe that’s not fair. I added a similar comment to Cecilia’s review, but after reading all your Literary Wives reviews for this book, I was wondering about the effect technology and social media have on our relationships now? Is it hindering? Making no difference? Or enhancing? I know I would be inclined to say it is hindering, but I was wondering what others think. Especially, others who are younger (like you!). I remember too well the old days, before e-mail and even personal computers. I usually wonder about technology’s effect on my children, but reading about this book makes me wonder about it in terms of marriage. That’s a big question that deserves a thoughtful answer — I am going to mull and get back to you!